It’s a term coined by Richard Louv, author of Last Child in the Woods: Saving Our Children From Nature-Deficit Disorder to describe the fact that many children today have become detached from the natural world. It’s not an actual medical diagnosis, but it is a condition that comes with unpleasant side-effects. This post contains Amazon Affiliate links. See our Disclosure for full details. I recently read Richard’s landmark book, and was surprised to learn that there are strong links between kids being alienated from nature and how well they function as adults. Kids who do not spend enough time playing and exploring the outdoors can be more likely to experience attention difficulties, and have higher rates of physical and emotional illness! 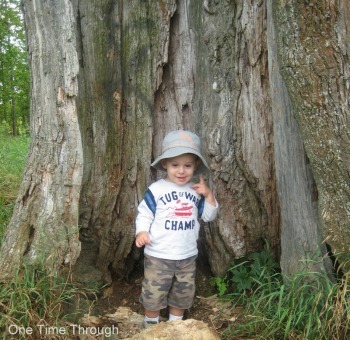 As a nature-lover myself, it is important to me that my 3 year old son, Onetime, grows up to not only appreciate nature, but to learn to do what he can to help protect our natural environment. 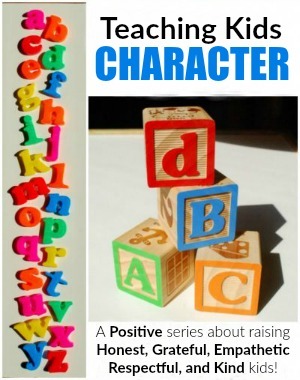 That’s why this week’s Teaching Kids About Character: An Alphabetic Series theme is N is for Nature-Loving. After spending half my own childhood outside and working for years at outdoor summer camps, as well as taking countless elementary school students camping and to outdoor education centres, here are my 30 best ideas for preventing “nature-deficit” in children! Before I begin, I want to say that hiking and walking are not on this list – because they are so obvious! There are many other fun things to do that will help your child gain an appreciation for nature. But, please DO hike! 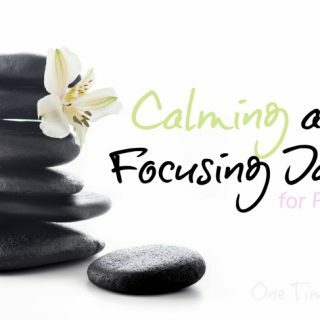 It’s great exercise, and one of the best ways to relieve stress – for adults, AND kids! And one of the best ways to get kids out in the natural world. 1. Let Your Child PLAY in the woods! Yes – let them climb trees, play hide and seek, and explore off the trail (where allowed and with your supervision of course!). There’s no better way for kids to get fit and develop their gross-motor skills, than climbing over fallen logs, scrambling up muddy embankments, and running across a bumpy, grassy meadow! You don’t have to go far either to find a special location. Most young kids will be happy exploring the small forest at the edge of the neighbourhood. Buy a disposable camera (or a sturdy, inexpensive digital one) and let them take pictures of whatever they find interesting. Be sure to look at them together on a large computer or TV screen and try and PRINT off a few favourites to frame! Bring your camera too! 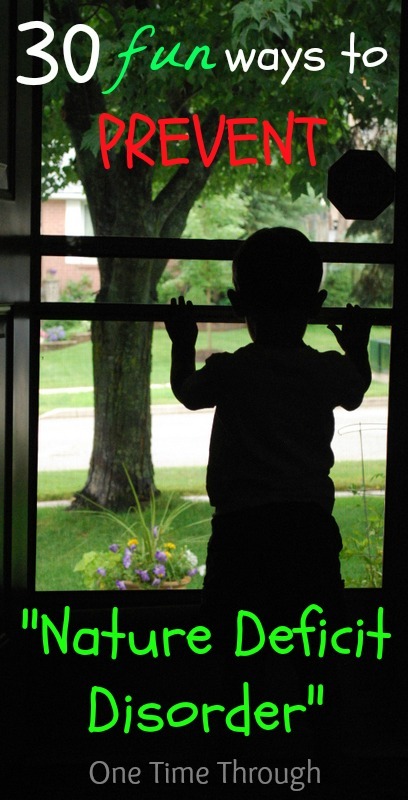 If your child isn’t sure what to take pictures of, you can suggest a theme. For example, you could all take pictures of only trees, or flowers, or only things on the ground or things above the ground. You get the idea. 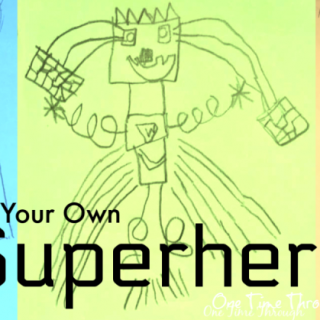 Make it a creative challenge and you’ll be surprised what your child will capture! This is one of my favourite photos that Onetime has taken. How beautiful are those branches reaching into the sky? How fun it is to see what THEY find interesting! Get a kid-friendly pair, or teach your child to carefully use adult ones. 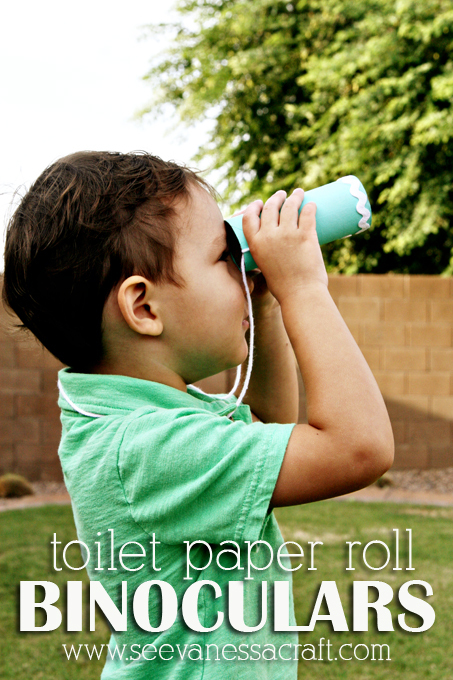 Even the process of looking through binoculars, can help your child see nature in a different way. You can even make a pretend pair to bring along on a walk. Here are instructions for making some from See Vanessa Craft. Yes, you read that correctly! Fungi are everywhere and once you start looking for them, you will find all sorts of interesting shaped and coloured ones. Point some out to your child and challenge them to find a few more. Onetime found the left one in our backyard and the right ones on a recent hike! This is also a good time to talk to your child about never eating fungi they find in the woods, even if they look like the mushrooms in last night’s “pa-sketti!” Some are edible, but many are highly poisonous to eat. 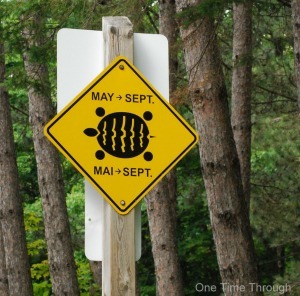 Once you start looking you’ll be surprised how many signs you can find! You may even luck out and actually sight a few animals too. You could also do this activity for birds, or bugs as well. Get some paint chips from the hardware store to take with you on your next walk. Have your child try and find a natural object to match each colour. On your next walk, take along some paper and a crayon with the covering paper removed. Show your child how to take a rubbing from a tree. Collect different rubbings and compare them. My Nearest and Dearest has a post all about studying bark with kids. She’s got crafts, activities, and recommended books. When I went to summer camp as a child, this was my hands-down favourite activity. The trick to building a good fort is to find a spot where there are lots of large sticks to use. Get down and dirty with your child. Try making a teepee, or use an already fallen-down tree to prop large sticks on for a lean-to. For extra fun on a hot day, bring along a tarp and a full water bottle. Throw the plastic sheet over the fort when it’s finished and then empty a full water-bottle over the fort with your child inside and see if it’s waterproof! 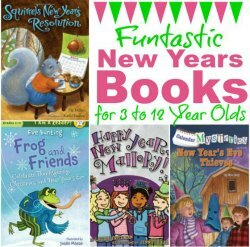 Great for lots of giggles! This is a picture I took when I was about 10 years old. 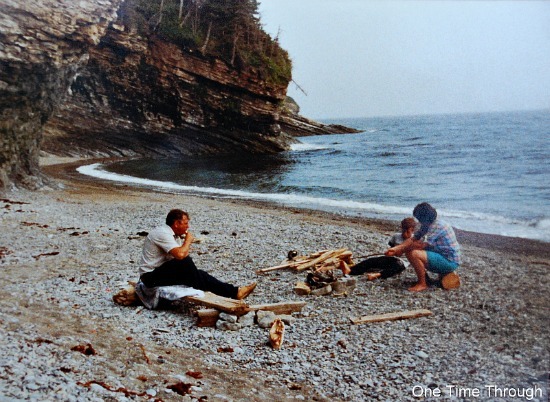 My family was hiking along an oceanside trail on the East Coast of Canada, when we decided to climb down to this lovely cove and have an impromptu campfire and hotdog roast. As an aside, several years ago when I was working as a Trainer for new Camp Counsellors for a local recreation department, I was shocked to learn that most of these teenagers had never attended a campfire cookout! In fact, when I told them that we were going to do this on our last day of training, and asked them to bring in money for hotdogs and s’mores, many of them balked! I couldn’t believe it. After convincing them all to participate (not easy with 14 year olds! ), we spent a whole day in the woods playing camoflage and survival, and then finished off with our evening cookout. It was really gratifying to me that these kids went from thinking that spending a day outside was going to be dirty and boring, to having a fantastic time and thanking me wholeheartedly for the experience. Definitely something that every kid should get to try – at least once. This is a fun Spring or Summer activity when all the plants are finding ways to disperse their genes! Remember that seeds can be found in cones, berries, and pods. 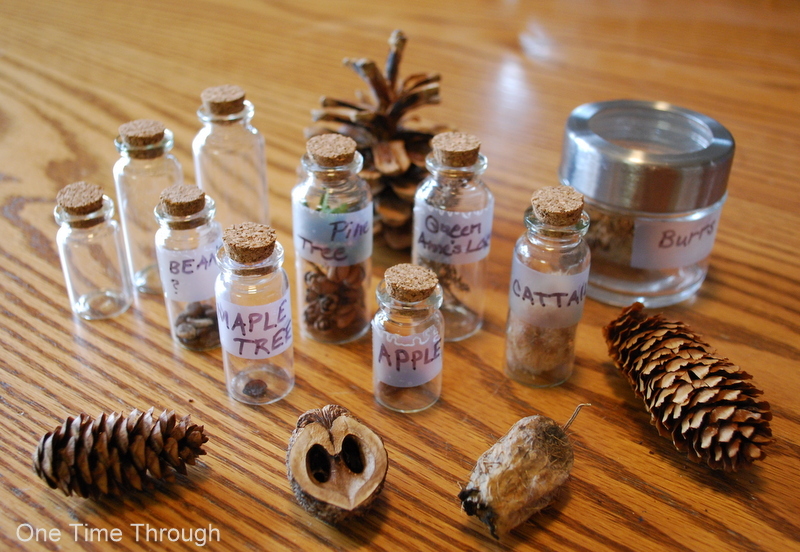 For ideas on storing and displaying the seeds, check out this post. These adorable little amphibians can be found all over North America and Mexico. Look for them under logs in the woods in moist areas. Handle them very gently (or not at all). 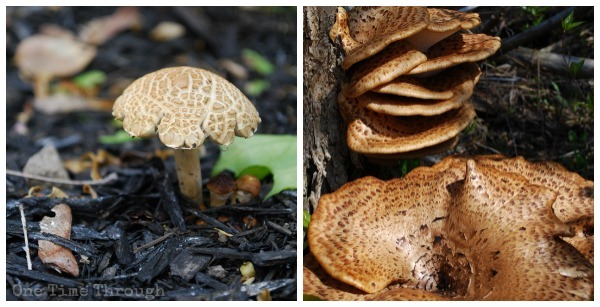 Take photos of the ones you find and use the internet to identify what kinds they were! Here’s a great site to help with identification. This kind of activity helps kids learn about the different directions, as well as builds spatial intelligence. You can also bring along a compass on walks and show your child how to read which direction you are heading in. Extra fun in Autumn when they’re so beautiful! Take them home and identify them using a leaf key(click here for an online North American Leaf Identification Key) or get a kid-friendly visual leaf key here from Wildflower Ramblings. You could also make art with leaf rubbings (see our Maple Leaf Rubbings here), arrange the leaves into pictures of animals and people like Dabblingmomma did, or put them in between two layers of sticky contact paper for a beautiful nature-inspired window hanging. 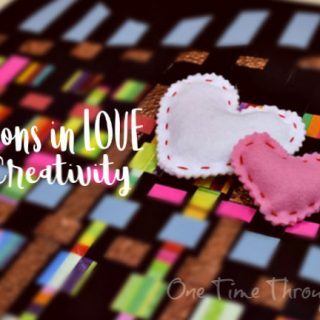 If you want more craft ideas, check out this post with 35 awesome ideas from Red Ted Art. 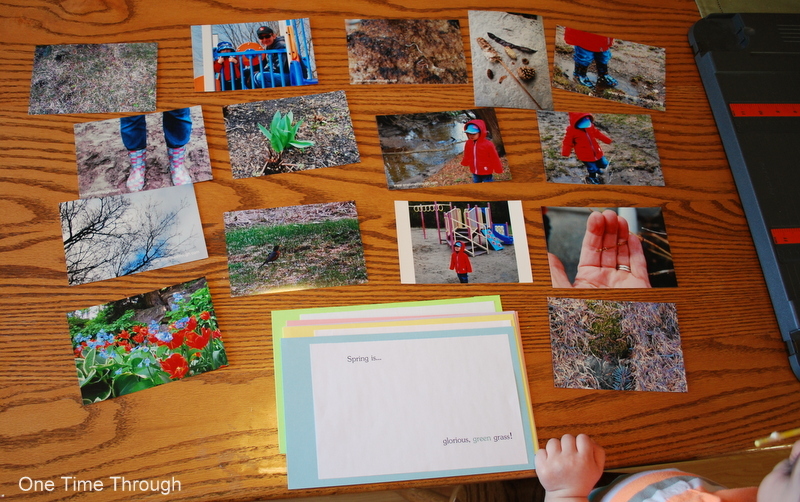 Do a Photographic Scavenger Hunt like this one and make it into a book for your child to read. Or try a traditional hunt. Find a free printable nature scavenger hunt list here from the Hands On As We Grow blog or make your own. In the school board where I teach, the grade 5 students participate in a 3-day outdoor education experience called EarthKeepers where they learn to both appreciate and respect nature. It’s a wonderful program and my favourite part of the experience is an activity called Magic Spot. Each student is led into the woods (or meadow) and left in a special spot where they cannot see anyone else. They then sit alone for 5 minutes and just listen, look, smell and take in their surroundings. After the 5 minutes, the group comes together and shares what they experienced. The kids always really enjoy doing the Magic Spot, and as the 3 days of EarthKeepers progresses, the kids really start to appreciate nature more through this simple activity. I’ve often thought that as soon as my son is old enough to sit still and not be afraid, we will start doing this. For now, we sit together when we find a beautiful natural spot, maybe share a snack, and just try to drink things in. I will point out things that I see, smell, and hear – and I hope that I’m passing on the essence of just being in, and appreciating, the peace and beauty of nature. It doesn’t have to be a week-long trip, or a remote paddle-in site for it to count. 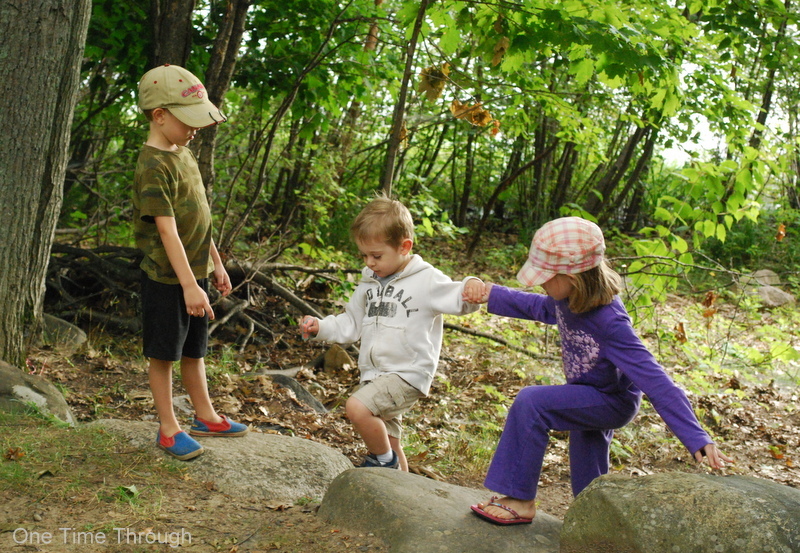 Kids can get a lot out of a day or two, even in a local conservation area. To read a bit about our recent camping adventure with Onetime, while learning how to make a homemade fire starter, check out this post. Follow One Time Through’s board Camping Fun on Pinterest. There’s nothing like sitting in the dark, far away from the city lights, and really taking in the beauty of the night sky. Whether you know your constellations or not, kids will enjoy watching for shooting stars (meteoroids burning up as they hit our atmosphere), satellites, and the Milky Way! 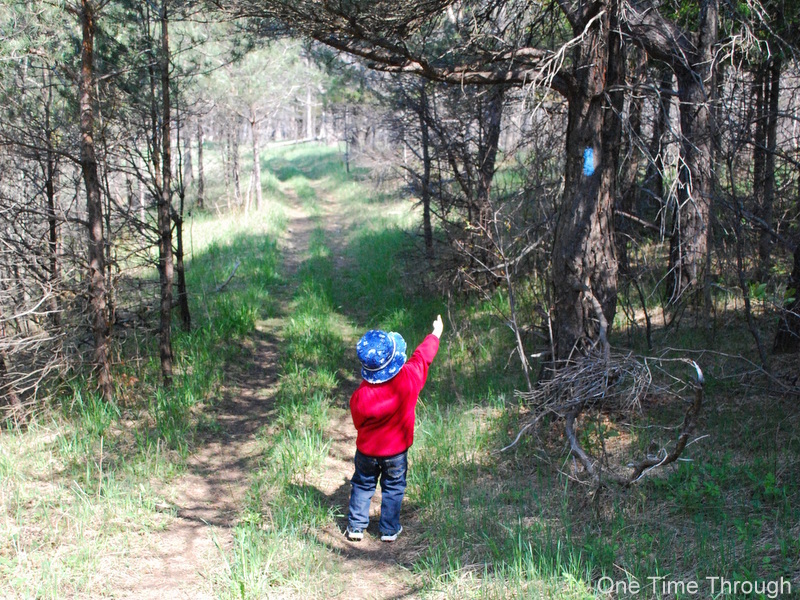 Go on an alphabet hunt in a natural area. You could do this as you’re hiking, or formalize it with a little booklet to record ideas as you go. Just take 13 pieces of white paper, fold them in half. Cover with a piece of construction paper and staple. Inside each page, write a letter of the alphabet. Bring your booklet and a marker or pencil and as you hike, be on the lookout for things in nature that start with each letter. When you find something, have your child draw a picture or take a photo to print out later – or just write down the word of what you found. Inspired by an idea on Fantastic Fun and Learning, this idea helps kids pay attention to the different sounds in nature. Either with your child, or on your own, list all the different sounds you might hear while walking in the woods. 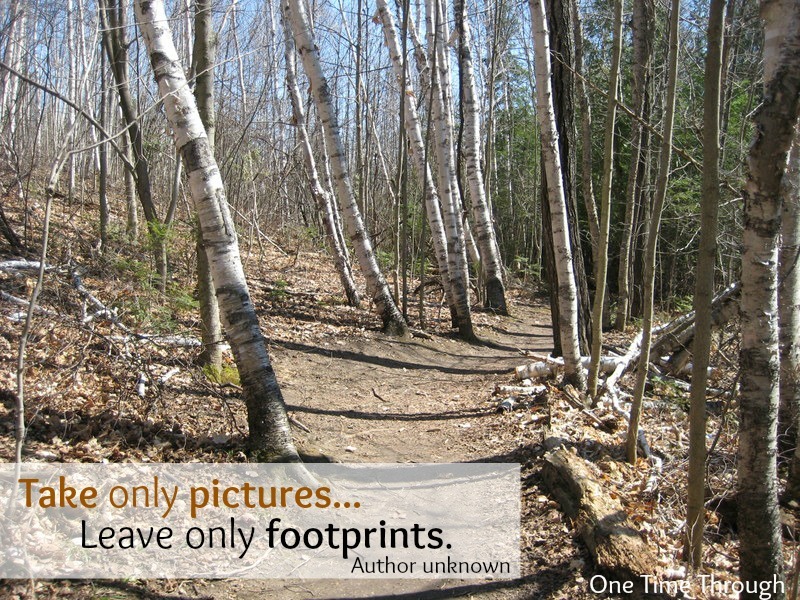 While you are hiking, take time to stop and listen and check off the sounds you heard. You can also add new sounds you didn’t think of! Fantastic Fun and Learning has a great idea for recording the ideas with young children. Be sure to check it out! 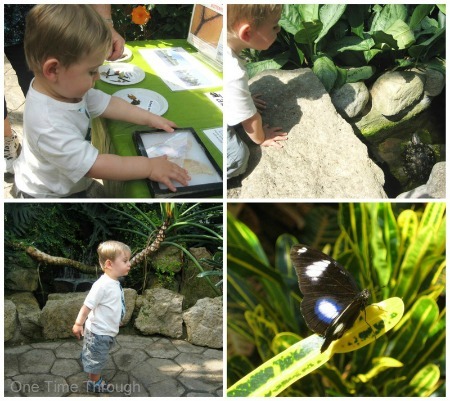 If you’re lucky enough to have a botanical garden close to you, look into a visit and see what might interest children. Many gardens have special attractions for kids and families and some even have indoor gardens for exploring in the winter time. 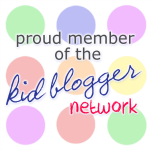 Click here for a great post from the Empowering Parents to Teach blog about visiting a garden and exploring it with kids using the 5 senses. So much learning can come from a garden. Children of all ages are usually very interested in planting seeds and watching them grow. 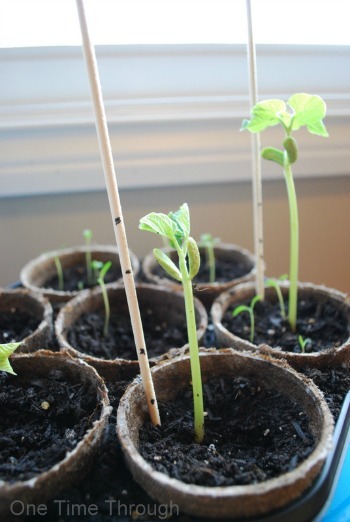 Bean plants and marigolds tend to be quite hardy and grow quickly indoors at a sunny window. You can even measure their daily growth like we did by marking the height of plants each morning on a shishkabob stick. If you have room outside, try planting some hardy vegetables such as tomatoes, green beans, or zucchini. You may find that your child will actually eat THESE vegetables! Another idea is to plant a garden that attracts butterflies. Here is a list of plants that attract butterflies that grow well in Canada, the US, and England. Sorry if I left out your country! 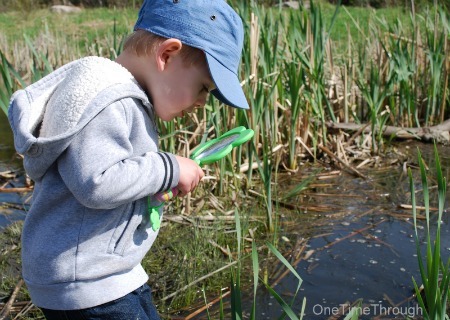 There are so many things that kids can see and learn at the local pond. In the Spring, they can look for frog eggs and snails, watch the tadpoles grow, and count water striders. In the summer, they can hunt for frogs and other pond bugs. 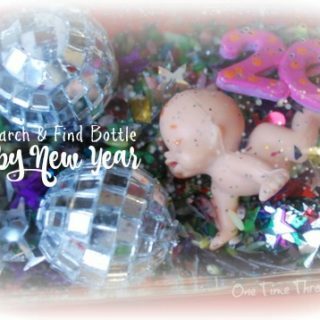 Take along a magnifying glass or make this easy Underwater Magnifying Glass to let your kiddo get a glimpse below the surface! You don’t have to go far to find “wildlife!” Try a backyard bug search and see what you can find in your own outdoor living space. 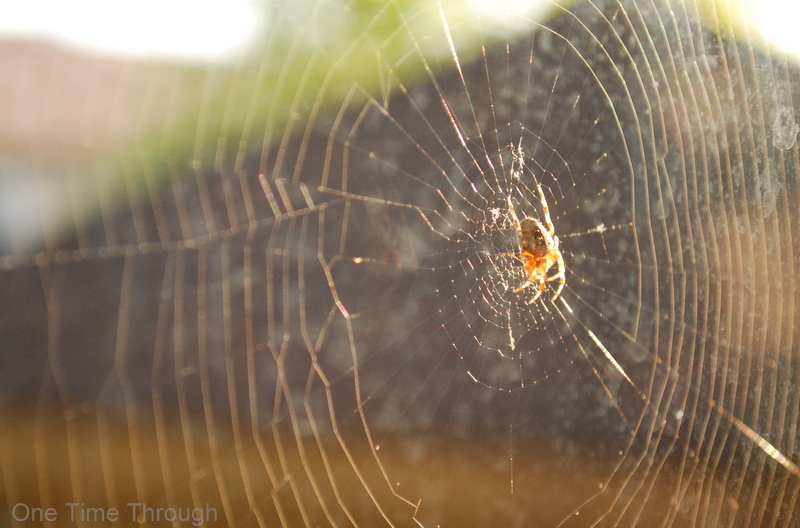 Onetime and I found this spider living on our back window! 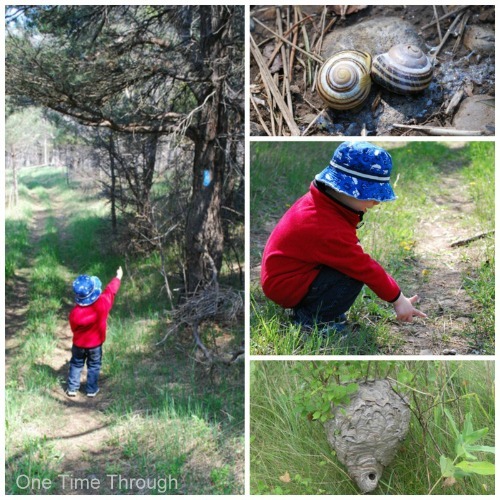 For more tips on going on a bug hunt, read this post from Naturally Frugal Mom. I love this idea from David Suzuki’s book Eco-Fun: Great Projects, Experiments, and Games for a Greener Earth. 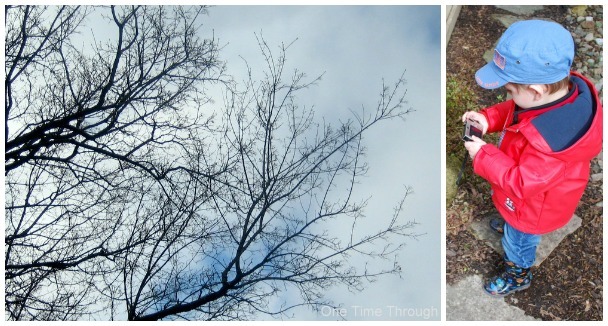 Have your child “adopt-a-tree” from the neighbourhood, yard, or local woods. Visit the tree regularly throughout the year and study it. You could measure the circumference, take a rubbing of the bark, collect and press its leaves as they fall, make sketches or take photos of it in different seasons, etc. Give it a name! What a great way to get kid to really notice deeply what’s going on with these special, beautiful organisms! What a great way for kids to learn about what trees need to grow while helping the environment! 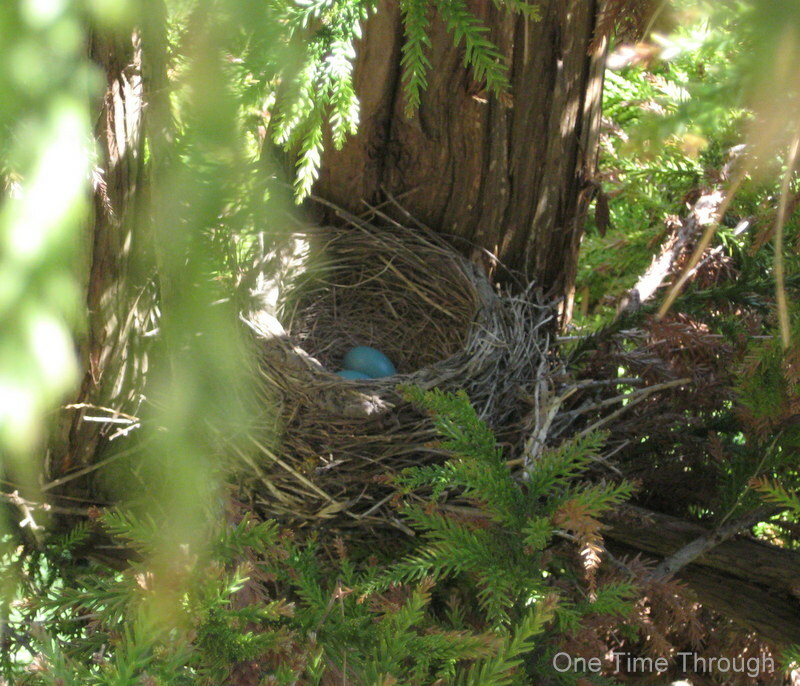 Have fun choosing a spot, on your property or in a special place, and visit your tree often to see how it is growing. Add a bird feeder or birdbath to your outdoor space. Sit back and enjoy the show! 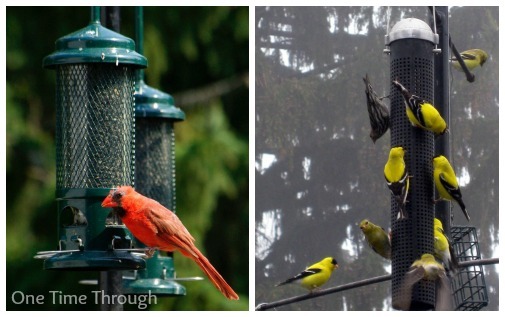 If you’re not sure what feeder or food to use, local birding stores will have some suggestions. They got me started. This birdfeeder in my parents’ backyard (above) has been a source of entertainment for years. With a variety of feeders, they have attracted over 20 different kinds of birds, and at many times, have had a whole flock eating at once! If you want to go the less maintenance route, try having your child make a homemade String Birdfeeder in the Springtime to help local birds line their nests. Find tons of ideas for helping kids learn about birds here. Also, consider picking up a bird identification book. My son loves this one, (probably because it has colourful photos and is “his size” at only 4″ x 6″). He carried it with us on a recent walk and really enjoyed spotting birds and then trying to find and identify them in this book, Birds (Golden Guide) . Here are a few of my favourites for young children: Nature Suncatcher Windchimes, Nature Clay Prints, Easy Seedy Art. Click here for some other collections of nature craft ideas for kids of all ages: at My Life and Kids and Fall Nature Crafts from Red Ted Art. There are just so many things about Mother Nature that you can’t experience if you stay on the ground. Rent or borrow a canoe, kayak or rowboat and get your family out there. While you’re there, you could also try fishing. Borrow a rod and hit a local stream or pond. Read this post by Joys of the Journey for tips for fishing with kids. Walk amidst tropical plants and beautiful flutterings at any time of year! At our local conservatory, Onetime enjoyed getting to see a walking stick insect, having butterflies land on his head, as well as viewing butterflies hatch out of cocoons before his eyes! In order for our kids to learn more about their own personal impact on Mother Nature, it’s critical that they learn from a young age about conserving water and electricity, and the importance of recycling and composting. To find a terrific hands-on sensory bin that teaches young children what happens to our waste, as well as teaches how to sort recyclable materials from garbage, read these two posts: Earth Day Waste-Sorting Sensory Bin, and Landfill and Recycling Factory Play and Craft. There are also some great books out there for helping kids understand their impact on the environment. These are a few of my very favourites. They are all engaging for kids and yet touch on really important big ideas about the environment. 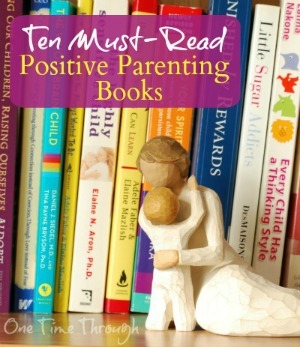 To read reviews of each book, click on the pictures. 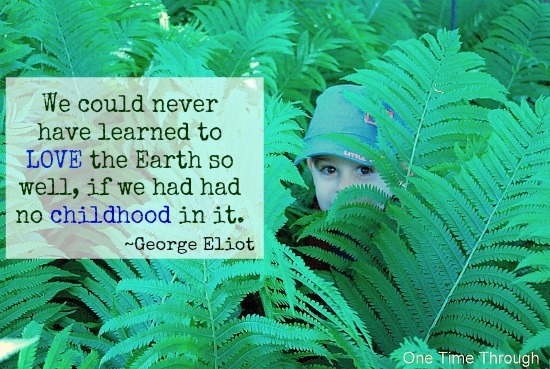 For even more ideas for developing a love of nature in your children, be sure to FOLLOW our Nature-Lovers Pinterest board here: Follow One Time Through’s board Nature-Lovers on Pinterest. P.S. 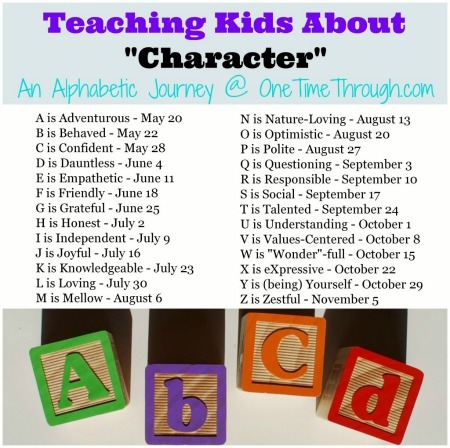 To keep following our alphabetic journey – visit our Teaching Kids About Character page. I LOVE this post. This is so important and often overlooked in our society today. I used to work for our state wildlife agency, and Louv’s concepts and ideas were a big part of programs we completed. 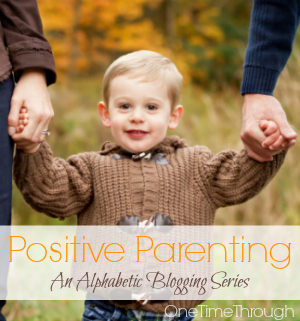 It makes such a difference in kids’ behavior and attitude. And it’s fun! A great resource is your state wildlife or conservation agency. Here in Wyoming, the Wyoming Game and Fish Department has a number of programs, most of them free, that people can take advantage of to get their kids involved in the outdoors. For example, we have an annual free fishing day, working fish hatcheries and bird farms kids can tour, posters & brochures kids can take home. In all of our regional offices, they also have learning trunks that teachers/parents can check out to use with kids that have all sorts of cool things – furs, skulls, track-making kits, books, etc. I know other state wildlife agencies have similar programs. 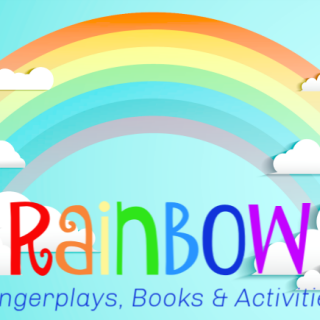 Fabulous information and activities, all for free! This is a great post!! 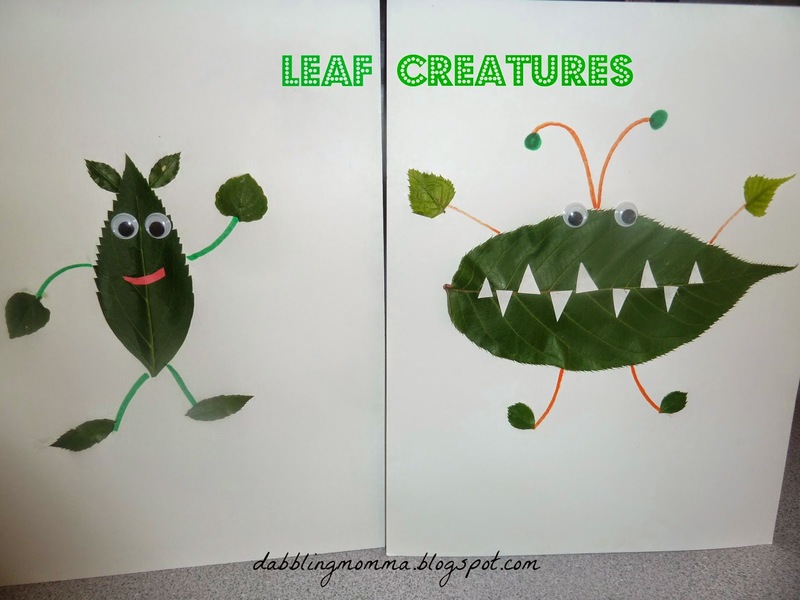 Thanks also for including our Leaf Creatures!! Pinning! Such great ideas. We sometimes are guilty of being nature deficient and every reminder helps! It’s easy to get caught up in everyday life and forget how important this is – especially if you live in an area without natural spots close by, or if the weather is poor (this past Winter -we were all Nature Deficient! in my house). Thanks for dropping by Anne! Thanks for dropping by Ashlee!